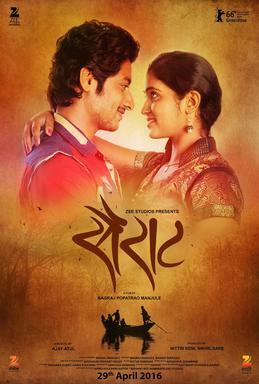 Sairat is a very easy movie to respond emotionally. Nagraj exhibits tremendous control on the craft of mainstream cinematic tropes in the first hour, that the viewers have no choice but to surrender and submit themselves to the movie. And in doing so they are at the mercy of Nagraj, who takes advantage of this and takes unsuspecting casual movie viewers on a stark journey leading to a soul crushing defeatist ending. It took me almost 3 days to recover emotionally, gather my thoughts and make sense of things intellectually. Like many of us, I crave to relive the movies emotionally. Sometimes I get desperate and watch a movie multiple times in a theater just to relive the emotion I felt for the first time. I fail most of the times. My point here is that I’ve never run away from the emotional experience of a movie, until Sairaat. This time I just wanted to detach myself emotionally from the movie as fast I can and make sense of it all. I was sad and depressed. I was so worried and almost ashamed of my response. It was the tritest response anyone could have to a story of young lovers blossoming, revolting, eloping, making it work and finally getting killed. If not the oldest, it is one of the most clichéd narratives of Indian films. But still, whenever I would recollect the pre-climax portions, I knew Sairaat had hit on something real, something really life affirmative, something very graceful. And that kept me going while slowly emerging from the movie’s impact. I have no other option but to start with Sairat’s end, because without getting that out of the way, it will keep clouding my thoughts on the rest of the film. During the 3 days when reeling under Sairat’s aftermath, I tried my best to dismiss the ending as a contrivance for impact like so many Tamil films, but I wasn’t able to. Nagraj, in one of his interviews, justifies it as a means to shake up the average viewer’s apathy towards social issues. I understand that and I admit my apathy was shaken up. But it robs the movie of its all-encompassing perspective (which it holds very well till that point), by reducing Archie’s family as an archetypical bunch of heartless killers driven by shame revenge. But then, due to the privilege of urban isolation I enjoy, honor killings for me are just stuff of newspaper headlines and subject for a genre film. These killings never seemed practical to me, but again I am completely oblivious to the rural social power structure to pass a judgment. So, let’s say the end is based on a true story. The girl’s father is so pissed and shamed by the people around him that he cannot bear the fact that her daughter and a lower class boy are living happily. He orders an execution. What does it say? Whatever you do, how much ever you revolt and succeed against the system, social power structures and prejudices, they eventually get you. It is a defeatist ending, not in the cathartic way like Shool, but in a resigned way where we see their child walking out with blood soaked feet, in some way indicating that the class struggles have seeped into the next generation and will keep on going till many more. And all the things that come before the end make it even more despairing. On the contrary, if the girl’s family indeed reconciled with their daughter and son-in-law, it would have been a far more unifying outlook, where any father of a daughter irrespective of their social strata would identify with the emotion. So at one level, I admire Nagraj for forcing many of us hipsters out of their isolation, and putting them through the ordeal, but at the same time the shocker ending offers enough isolation to make us comfortable and feel that “Phew!! Thank god this doesn’t happen around us. 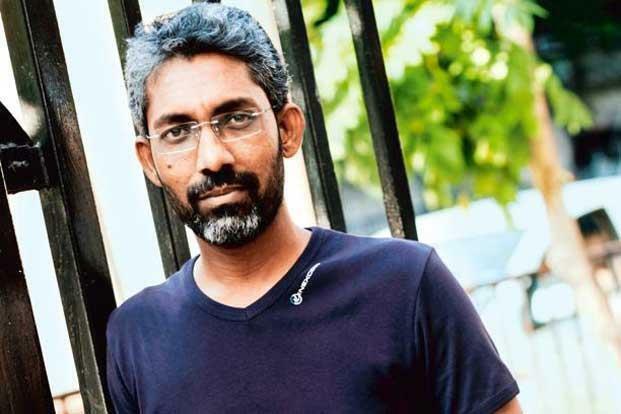 All this madness brews somewhere in faraway villages.” But to conclude my unending take on the end, I would say that Sairat is what it is, not just because of the end and also because of the end. It is way more than the sum of its parts (which I’ll come to later, I’m just getting started). Poetically, though, the end is justified – it starts with an act of passion and ends with one – just that we strongly identify with the first, but find the last one just pure evil (which we are not, right?). The reason Sairat feels like an epic despite a trite storyline and absolutely grounded approach in the last hour, is because it encompasses so much in its 3 hour runtime that it feels like 2-3 movies packed into one. Interestingly Nagraj never really tries to subvert the clichéd narrative tropes of the story, he infact uses them as hooks and brings us closer to the world of Parshya (especially him) and Archie. For example, take the hero’s best friend trope. It’s one of the most annoying tropes, where you have to watch person whose complete existence is for service of the hero. He doesn’t have any personal issues, no personal life at all. He exists to make sure that hero can succeed in his. What Nagraj does for one of the two Parshya’s friends is just incredible. He gives him a crush and heartbreak, and also gives him a personal narrative and a very graceful short film arc around his handicap. Later in the film, Nagraj also rebukes and knocks some sense into the 2 ‘selfless’, ‘friendship-professing’ friends about their role in the elopement of the couple (Tamil movies glorifying these ‘selfless’ friends should take cue). Touches like these elevate the material above the standard issue. The whole bindaas fearless heroine aspect is also not just the rich-spoilt-arrogant-girl trope, it is used to emphasize the entitlements of the upper class and contrast her against an under confident lower class Parshya. Till they are in their familiar environment where they have grown up, Parshya never really shows any bravado or pro-activeness. He just goes with the flow and is a passive participant in their relationship. He is just cog of the system way down in the pecking order and he knows his place. Archie on the other hand takes the initiatives in all matters. She takes control and also protects Parshya when attacked by her cousin or father’s henchmen. But when they step into an unfamiliar environment, but closer to Parshya’s social strata, Archie withers and Parshya blossoms. Parshya takes control of the situation, starts working and kick starts their new life. You might have noticed me using words like, ‘social strata’, ‘pecking order’ and ‘class’. I’ve never used ‘caste’. As far as I remember Nagraj too never uses any caste related words in his dialogues. But my reasons of not using ‘caste’ are very different. First of all I don’t understand caste, technically as well as practically. The first time I came across anything cast related was during my engineering admissions. I’m not claiming to be the cool guy who doesn’t give a damn about the caste, it’s just that urban middle class provides a brilliant social isolation (with respect to caste). We do not seek or live with people of our caste. Instead we seek economically equals to live amongst. We also seek for ‘class’ equals, which on a high level consists of hygiene, education and means of earnings. Life might become oblivious to caste, but your job becomes the important social standing measure. No white collar worker would really care about the caste of a driver, rickshawala or a kaamwali bai. They are just resources for convenience. Nagraj wonderfully covers this aspect in the second half when we see Parshya and Archie finally settling in city life. Archie is slowly promoted to a desk job and Parshya comfortable as a uniform clad vehicle mechanic. From upper caste and lower caste they transform into the city equivalent – white collar and blue collar. Enough of the social commentary, lets talk about the fun part, the part which everyone is enjoying, the part which brought hordes of people to the theater in first place. The first 60 minutes of the movie and the accompanying music. Since Dev D, Sairat is the first movie to have the visuals and montages so perfectly infused with the music, that you cannot separate the two. Nagraj should be grateful to Ajay-Atul for a score of the lifetime, but the way he makes the songs his own and shoots and edits them is something to surrender to and experience on a big screen. The big-screen experience of ‘Yed Laagla’ is unparalleled to anything out there. The montage idea behind it is very interesting. Dil Chahta Hai had Akshay Khanna run as fast as he can when Dimple calls him to her home. I had a very similar expectation when ‘Yed Laagla’ starts, but they were subverted. Parshya on a boat 500 feet from the shore is informed by his friend that Archie is at the well. The slo-mo starts, the music kicks in, and Parshya jumps into the river. There on, Parshya calmly swims to the shore, gets out, goes home, washes up, gets ready not really in hurry, but just enjoying the moment. He also breaks into a little cheerful jig in between his slo-mo run towards Archie. This calm in such a heady moment gives a wonderful temporal quality to the moment. The way this song progresses, is one the great joys of the Sairat experience. In Zingaat, the screen bounces and vibrates with great unrestrained energy. The natural uninhibited choreography will ensure you get up join the party. All these scenes and music give you a high of the first love you are witnessing. Only few Tamil films come close to the heady rush of first love that Sairat gives through these scenes and music. Nagraj gives the audience what they want in these 60 minutes of fleeting in wonderland, all the while preparing them for a film which he wants the audience to experience. I want to really end this write-up, but a thing keeps nagging me. It might be a really silly issue. No film ever represents or justifies the daughter’s father. Indian films have a great ability to create a make believe where audience roots for the thug hero to get the heroine. First time I realized this was when one of my very insightful friends expressed his anger on movies like Munnabhai and Dulhe Raja. These films generate comedy and create fools out of the daughter’s father, who is just merely protecting his daughter from a lower class uneducated thug. My own dad laughed out at one such improbable scenario in Rangeela, where a good for nothing Munna gets the girl and her family is okay with it. I get that these tropes emerge from the fact that Indian films are basically a medium of masses, where the common man identifies with a Munna or a Raja and enjoys seeing them slam dunk the upper class fathers. But it nags me that these tropes have conditioned us to react in a certain way with movie characters and differently in real life. The upper class audience, whose liberal juices start flowing when an onscreen inter-caste couple faces opposition, would do exactly the same when their daughter chooses someone from another caste. We all turn conservatives in real life while crying liberal tears in the theater. These conservative values are never represented substantially in our films. Not even in Sairat, despite its fully realist treatment. Archie’s father’s is just a symbol of upper class power, nothing more than that. And that saddens me. But all things said, Sairat has enough nuances and perspectives to absorb. It is a cinematic achievement with tremendous social awareness. Its epic narrative encompasses almost all there is to say about young-love-against-the-system and much more. It rises above all similarly themed Tamil tragedies of the yore. And when the music kicks in, just sit back and submit yourselves….. But what’s the point? Don’t you think that life is too short to know these issues from movies? Isn’t entertainment (3 times) the thing that matters? What’s the point in making one sad for something which he has no control? I found this one depressing. I like such movies, where the entire movie is entertaining and the climax moves to a sad or realistic or a logical ending. Such movies are a heady mix of entertainment and realism.